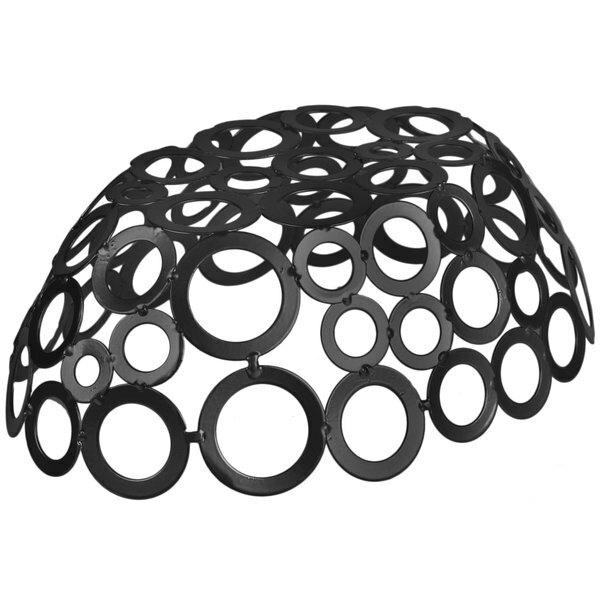 Zap your customers back to the swinging '60's with the American Metalcraft WBW96 9" x 6" oval black go-go basket! 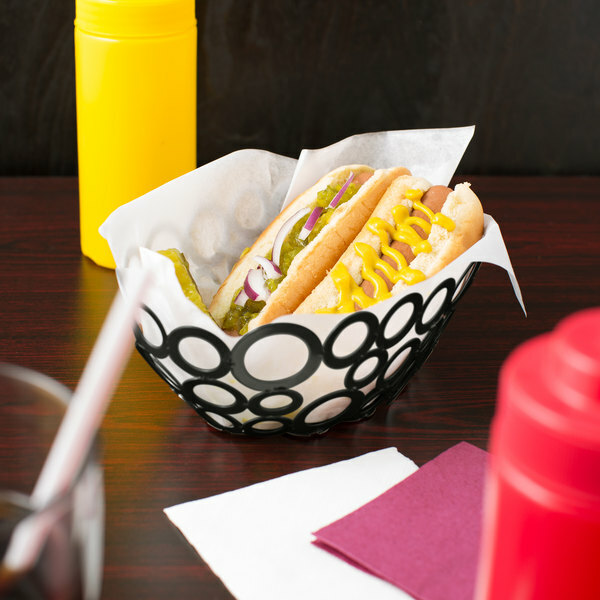 This metal basket is constructed of varying sized rings for a retro design that is great for themed diners, catered events, or bars. Create eye-catching displays for appetizers, sides, even sandwich platters at your restaurant with complete ease! 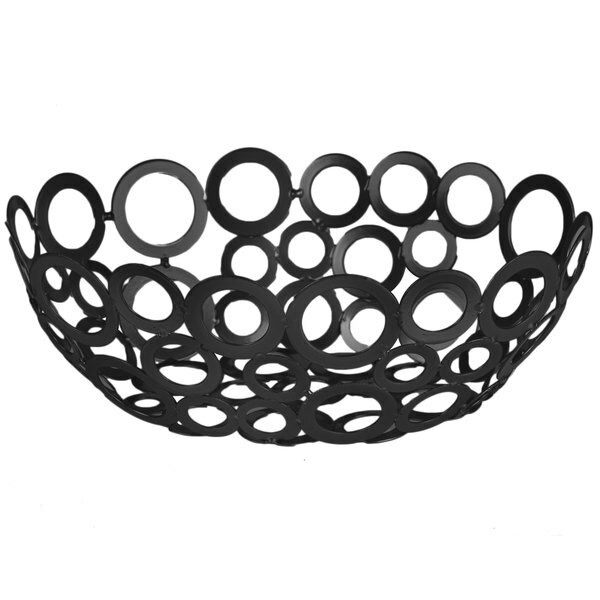 This go-go basket allows you to be creative and versatile when serving appetizers or snacks, and the sleek, black finish adds to your tabletop display. This basket is ideal for serving fried appetizers and snacks such as french fries, onion rings, and mozzarella sticks. It can also be used to present large dishes like burgers or cheesesteaks! These baskets are the perfect size for bread served along meat and cheese boards. They are durable and have stayed unscratched over time and many uses.